the gasket plastically deforms and not the grooves. Ring type joint gasket is a high integrity sealing gasket, high temperature and high pressure gasket for applications in petroleum industry, oilfield drilling, pressure vessels joints, pipes and valves etc from Goodrich Gasket Pvt. 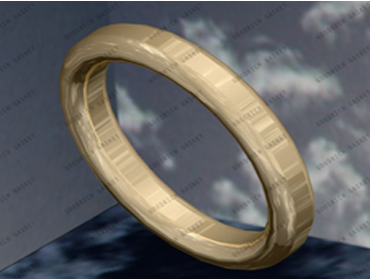 Ltd.
Goodrich Gasket manufactures ring joint gaskets according to API 6A and ASME B16.20 for numerous industrial applications based on the customer required specifications with corrosive protection using electroplated zinc or alternate material coating of up to 0.0003” thickness. R, RX – 63 microinches Ra (1.6 micrometer Ra). BX – 32 microinches Ra (0.8 micrometer Ra). 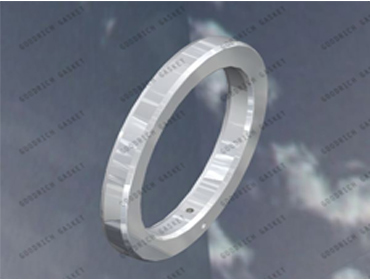 The working of ring joint gaskets can be explained by the axial compressive load causing them to deform and flow to irregularities in the flange grooves that it seals. As load bearing area of ring joint gaskets are small high surface stresses are produced between the sealing face and the groove, making it poor in recovery characteristics and unfit for reuse. 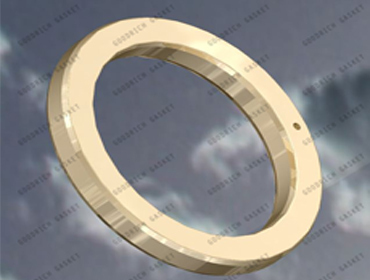 Goodrich Gasket manufactures Type R, RX, BX ring joint gaskets in API 6A, ASME B16.20 gasket standards for API 6B, ASME B16.5 and API 6BX flanges respectively. Types R, RX operates in 6250 psi/ 5000 psi with oval or octagonal gasket orientation and interchangeability. Type RX has a pressure passage hole for pressure equalization on each sealing face sides. Type BX operates in 20,000 psi with non interchangeability. Type BX has a pressure passage hole for pressure equalization on each sealing face sides. Derived from RX, BX are SRX, SBX in accordance with API 17D standards for usage in applications like subsea well heads etc. In order to reduce turbulent flow in adjoining flanges and prevent gasket/flange erosion Goodrich Gasket offers SPECIAL R, RX type joints with PTFE inserts. Goodrich Gasket also offers Nitrile Rubber coated ring joint gaskets used in pressure testing applications and as a protection for flange grooves and surfaces. Ring joint flanges with different ring groove diameters are sealed by Transition Ring joints, a different size and same PCD combination rings. 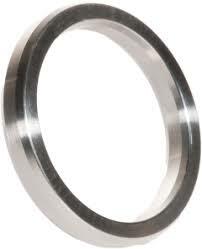 Blind Ring joints, a standard ring joint with integral solid metallic centers blanks off flanges and pipe work. Flange Guards of closed cell neoprene foam readily compress under load protecting outside diameter of Ring joints in corrosive environments. © 2019 Flosil Group. All Rights Reserved.